Go Team Venture! : The Art and Making of The Venture Bros. is a wonderful oversized extra thick 374-page hardcover companion that should please all fans. It's cool that animation companies are willing to put out books like this for fans. This is an incredibly detailed book on the animation series that has been running since 2003. This book is filled with interviews by the author Ken Plume with creators Jackson Publick and Doc Hammer. They talked about everything, such as early development and how the series started, the characters and plot of every single episode from the first to the sixth season. Reading about the creative process and what happens behind the scenes provides so much insight and a deeper sense of appreciation for the animation. There are also plenty of concept art to check out such as early concept sketches, development notes and drawings, character designs and environment art for all the episodes. The artworks are beautiful and wonderfully reproduced. I like the last chapter on ephemera. 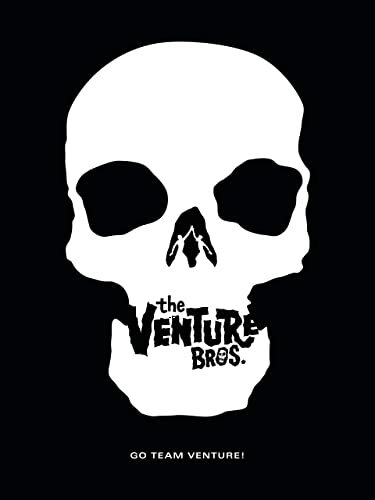 You get to see different Venture Bros merchandise and licensed toys, comics, guest illustrations and sneak peeks at the art for the upcoming season 7. This is a substantial book that I can easily recommend to all Venture Bros fans. Go get it.